I was lucky yesterday when I went to the grocery store – they were actually roasting the yummy chiles outside. I go for the mild version, and one sample of roasted chiles with cream cheese in a tortilla, and I was hooked. Stay tuned the next couple of days as I share some delicious creations. And, if your store doesn’t sell them roasted, it’s super easy to do it in the oven, stove or on the grill. Like shrimp? Oh man, you’ll like this!!! Anyway, we decided to try steamed spiced shrimp tonight with a ribeye steak. YUM. Anyway, I was a little confused, and even confirmed it on their site, that to “steam” the shrimp, you actually place it in a boiling mixture, add a lid, and in few minutes, you’re ready to roll. OOPS…just had to take a break. We are huge K-State fans and Tyler Lockett, former KSU player, just returned a punt for touchdown for the Seahawks!!! Purple Pride!! Anyway, I was wary because it sounded as though it would be boiled shrimp. NOPE. The most amazing stuff E.V.E.R. You’ll notice that the official recipe on the back of the can says use either vinegar or beer. Well, everything’s better with beer, correct? Leave the shell on the shrimp (buy the cleaned ones) and it took maybe 2 minutes, if that long, to finish them off. You want them pink, but be really careful as overdone shrimp are TOUGH. Ruined. The shrimp actually open up and you can easily tell when they’re done. I saw a recipe on their site for sweet and spicy salmon on the grill, so that’s my next venture. So, try this out, and this year, we’ll be adding Old Bay to our shrimp boil mixture. I’ll share that later this fall. Enjoy, and thank so much for hanging out! 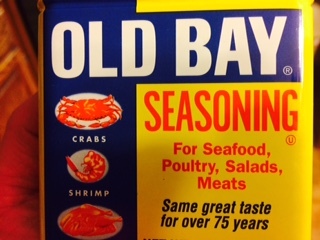 At medium heat, bring to a boil 1/2 cup beer, 1/2 cup water and 2 TBSP Old Bay Seasoning. Carefully stir in 1 lb. cleaned shell-on shrimp. Cover and steam, keeping your eye on them. A couple of minutes and you’re typically good to go. Hot breakfast in a flash!!! Now that the kids are back in school and everyone is running around the house all crazy-like, I wanted to share a scrumptious muffin recipe that can be made ahead and frozen, microwaved, has protein, and is customizable (is that a word?) for even the most finicky eater. My friend Heather and her daughter Gabby whipped these up, and I think they’re gone already. 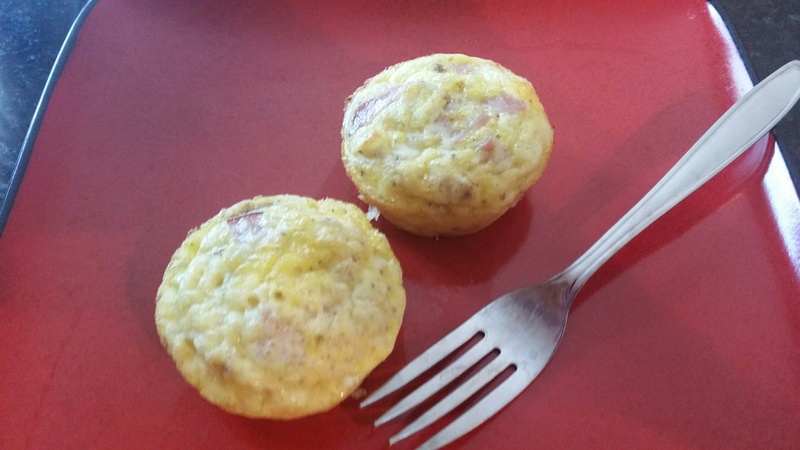 After spraying your muffin cups, throw in whatever ingredients you wish — ham, bacon, spinach, onion, green pepper, sausage….you get the deal! Oh yeah, and don’t forget the CHEESE!!! Season with salt, pepper, and garlic powder if desired, then add your beaten eggs. They freeze well and are ready in a snap with the handy dandy microwave! Enjoy! Preheat oven to 350 degrees. Spray a muffin tin with nonstick cooking spray. Assemble chopped veggies and meats, and your choice of grated cheese(s), and sprinkle in muffin tins. 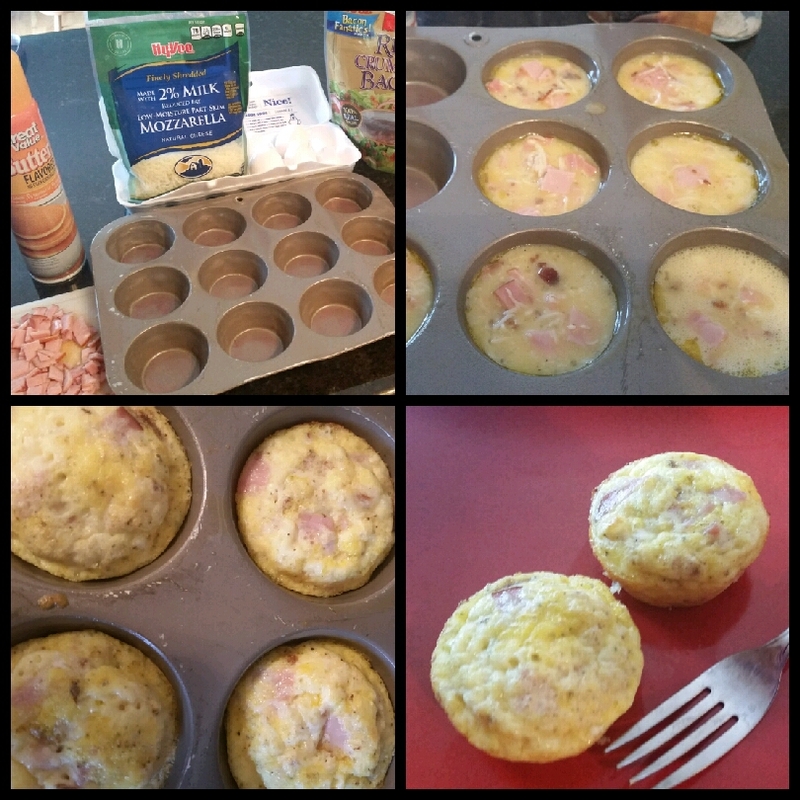 Beat desired amount of eggs and add to muffin tins. Bake approximately 15 minutes or until centers are set. Cool on wire rack. Refrigerate or freeze for use later. Microwaves well. 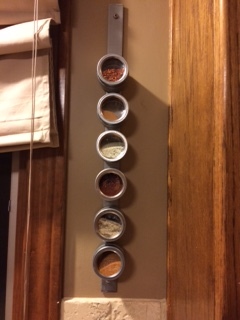 Found these cool little magnetic spice containers at a market that sells items from around the world 🙂 Asked my wondrous husband to get a piece of flat iron, and voila, I have a spice rack! Very little $$$ involved and looks pretty darn cool. I bought some chalkboard stickers at a craft store, so I’ll be labeling them soon. it’s a pretty sweet little deal and will be even better with labels! 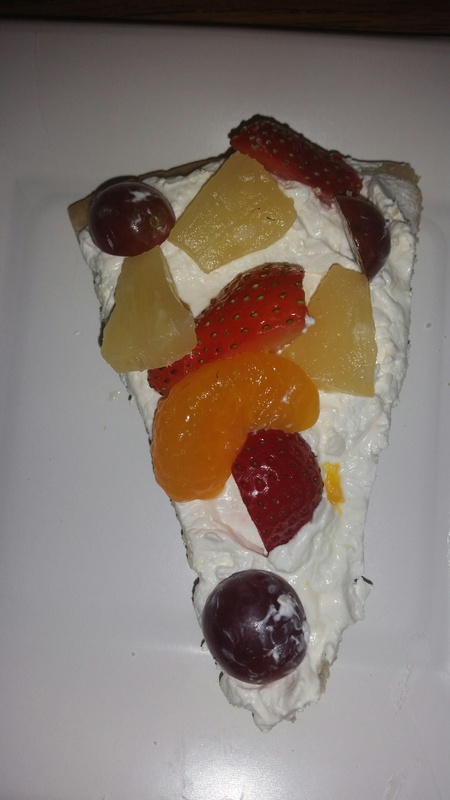 A delicious, easy summer dessert! 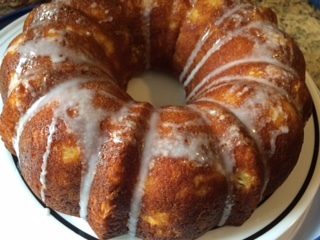 Pineapple Poke Bundt Cake. Catchy name, huh? I actually stumbled across this recipe in the Sunday coupon ads (of course I didn’t use the coupon) but the cake is delicious. I thought I would share because it’s easy. quick, moist and delicious! I snapped a quick pic before it was attacked! 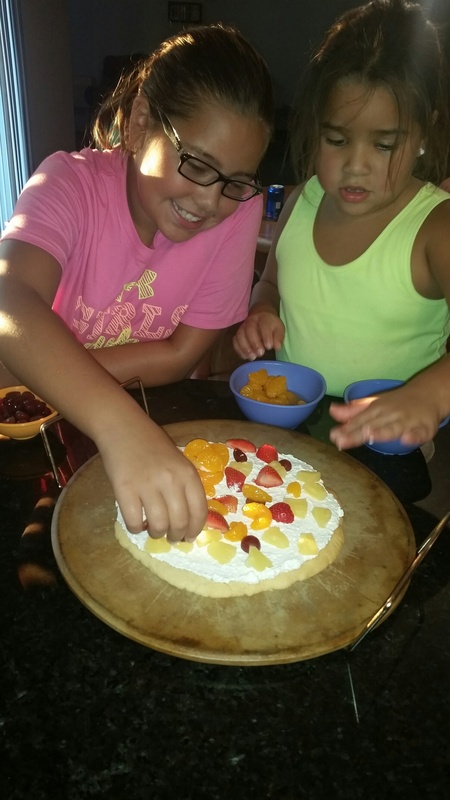 Enjoy as we are and thanks, Dole, for the recipe! Preheat oven to 350 degrees. Spray a bundt pan with cooking spray. Drain pineapple; measure 3/4 cup juice to use with cake mix, reserve remainder for soaking mixture. Beat cake mix, pudding mix, 4 eggs, oil and 3/4 cup pineapple juice. Add 1 tbsp vanilla, beat, and then fold in crushed pineapple. Pour into pan and bake for 38-42 minutes or until toothpick inserted in center comes out clean. 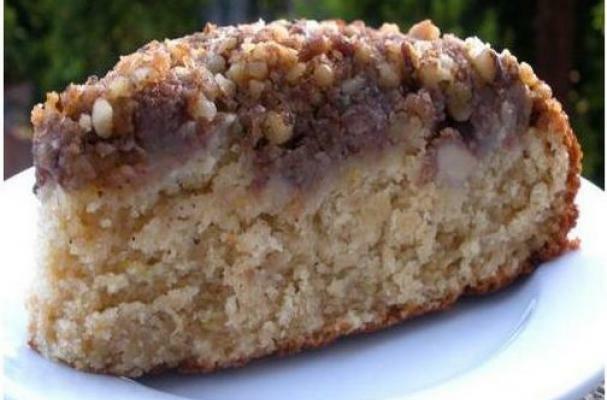 Combine remaining pineapple juice, powdered sugar and melted butter in a small bowl while cake is baking. Add remaining 1 tbsp vanilla. Remove cake from oven and set on wire rack. Poke holes at 1/2 inch intervals with a skewer while still hot and in pan. Pour mixture over cake slowly with a spoon. You may need to poke additional holes. Advice: just go crazy with the skewer the first time. Allow to cool in pan 30-40 minutes, then flip upside down on serving platter. Cool completely then drizzle with glaze. Confectioner’s glaze: 1/2 cup powdered sugar and 1 tbsp cold milk. Whisk completely. Gab and Gen in their creative mode! Bake sugar cookie and let cool. Beat together cream cheese, whipped topping and confectioners sugar; ice cookie. 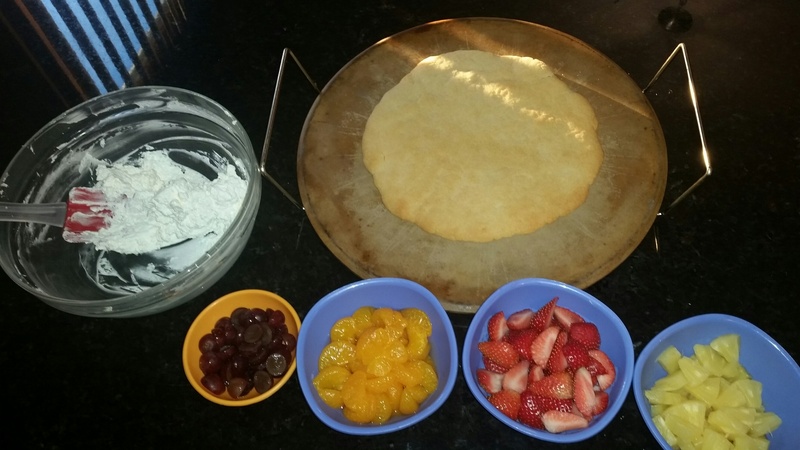 Throw (or arrange neatly) fruit on and have at it! I will admit it does take a little time to prep, but it’s oh so worth it. My team is going to be gobbling this up this week, and I’m pretty sure it will go over well. Thanks for stopping by, meeting Sherri, and I hope you have the chance to make and share this with friends and family! Preheat oven to 350. Combine walnuts, brown sugar & cinnamon; set aside. Put flour in bowl; cut in butter until mixture resembles coarse crumbs. Stir in 3/4 c nut mixture; set aside for topping. Set aside remaining nut mixture for filling. Toss pears with the lemon juice; set aside. In small mixing bowl, cream the butter & sugar. Add eggs, one at a time, beating well after each addition. Beat in vanilla. 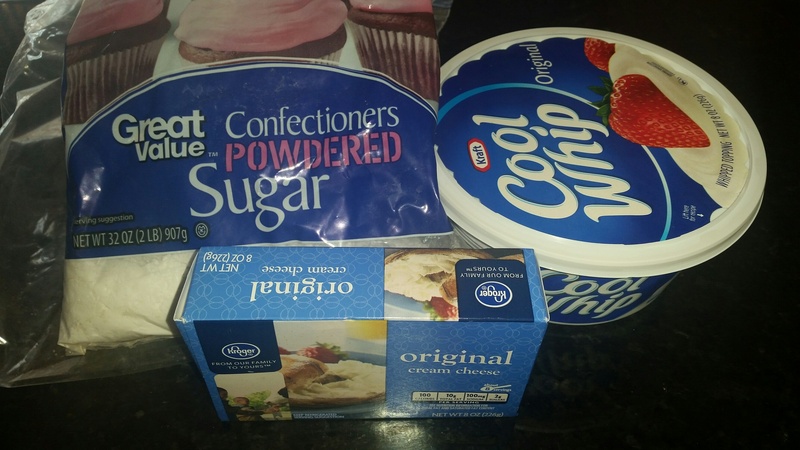 Combine the flour, baking powder, baking soda & salt; add to creamed mixture alternately with sour cream.